If you loved their tongue-in-cheek love letters to Harry Potter (A Very Potter Musical, A Very Potter Sequel, A Very Potter Senior Year), Science Fiction (Starship), and DC Comics (Holy Musical B@tman! 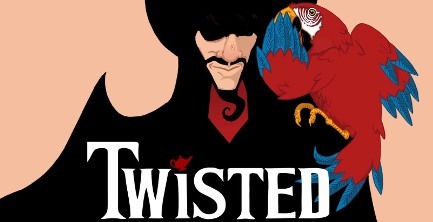 ), then boy are you in luck because Team Starkid have focused their wonderfully wicked eyes on Disney with Twisted: The Untold Story of a Royal Vizier. Yes, it’s the beloved Disney classic Aladdin as seen from Jafar’s point of view. 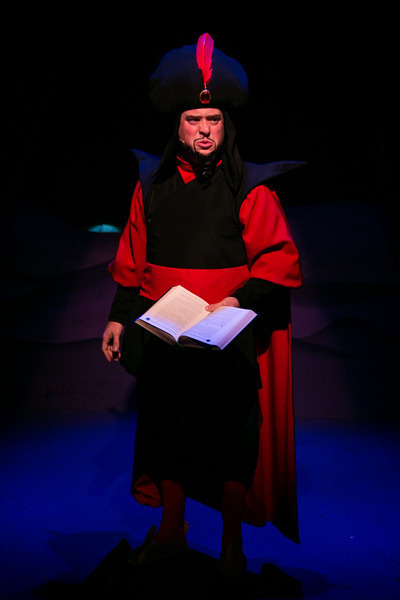 In the world of Team Starkid, however, Jafar isn’t as evil as he appears. Agrabah is on the brink of economic and social collapse due to the incompetence of the Sultan. The only hope the kingdom has is a royal marriage between Princess Jasmine and a wealthy prince. Unfortunately, Jasmine is more concerned with bucking the system, setting her tiger on prospective suitors until one finally misconstrues the attack as an act of war. Jafar has tried everything he can to fix Agrabah, but his only hope lies in a common oil lamp hidden within the Tiger-Head Cave and a sociopathic, horny thief named Aladdin. Team Starkid has always been very clever about reinterpreting beloved characters of fiction. Harry Potter is a self-involved egotist who eventually mans up to be the Chosen One everyone says he is, virtually all of the characters in Starship are parodies of science fiction tropes, and the heroes of DC Comics are depicted as well-intentioned, yet somewhat incompetent man-children. In Twisted, it’s very clear who writers Matt and Nick Lang side with when it comes to the story of Aladdin. Jafar was once a dreamer, a man with ideas that could fix the kingdom and as he takes his position as the assistant to the royal vizier, he meets the love of his life, Sherrezade, a woman with 1001 stories to tell of fantasy and faith. Jafar, however, is a man of science and reason, but the years begin to take their toll as the decadence of Agrabah’s Sultan robs him of everything he loves, leaving him desperate to save what’s left of the kingdom while guiding Jasmine towards being a thoughtful and just ruler. Twisted is also an opportunity for Team Starkid to parody most of the Disney Renaissance of films through the lens of Wicked, which provided much of the musical’s beats and story structure. The opening number is a perfect parody of Beauty and the Beast‘s opening and even features a cameo by Belle who treats Jafar about as fairly as the rest of the kingdom. Many Disney characters show up in the story, including a whole slew of Disney villains like Ursula, Maleficent, Gaston, Scar, and Captain Hook who give their own perspectives on the movies that turned them into the bad guys. There are also plenty of call-backs to the actual movie Aladdin with characters speaking lines of dialogue that are actually quotes from the movie’s songs. They even take the opportunity to poke fun at Pixar, naming the rival kingdom of Prince Achmed, the unfortunate recipient of a lashing from the Princess’ tiger, Pik-zahr. Though Aladdin is one of my favorite Disney movies, it’s just as fun to watch Team Starkid turn him into the ultimate villain of the musical while making Jafar a sympathetic and tragic figure. The Starkids may love their parodies, but their sincerity shines through as well with gut punching songs delivered superbly by Dylan Saunders as Jafar. If you have the time to spare, spend it getting reacquainted with the royal vizier we all love to hate!